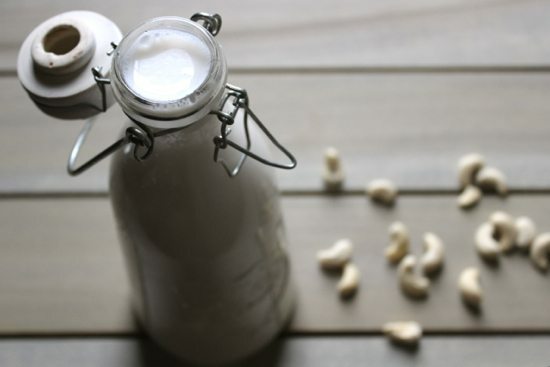 Almond milk needs to scoot over because this Homemade Cashew Milk needs a spot in your refrigerator. 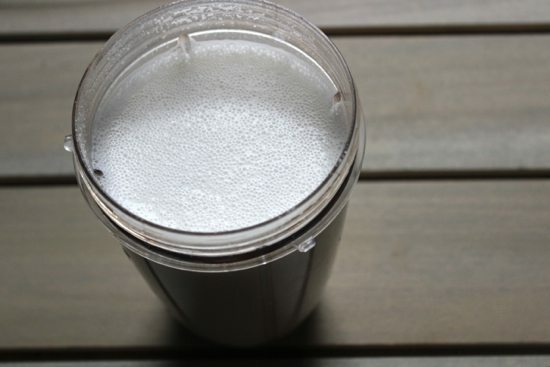 Cashew milk can be a great addition to many of your regular recipes. Throw it in with some homemade granola (like our Coconut Chia Granola or our Almond Pumpkin Seed Coconut Granola) for a bowl of cereal or toss it in as the liquid base to a nutritious smoothie when you are on the go. Cashews are super tasty and highly nutritious. 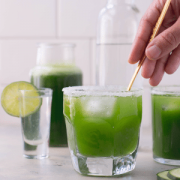 They contain a large amount of potassium, magnesium, and iron to keep you feeling your best. Iron carries oxygen throughout our body to all of our cells, muscles, and even our brain. To keep from feeling that afternoon slump, make sure you’re getting enough iron in everyday from high sources like our cashew milk! 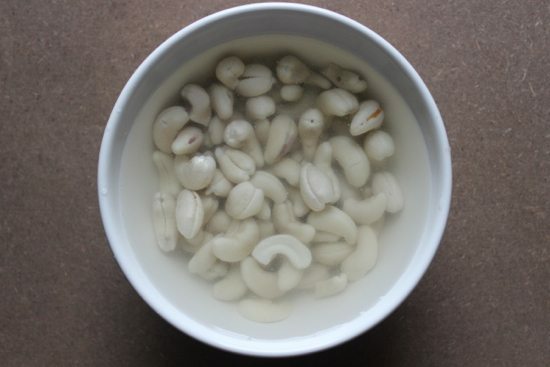 All you need to make the milk is a cup of unsalted cashews and seven cups of water. 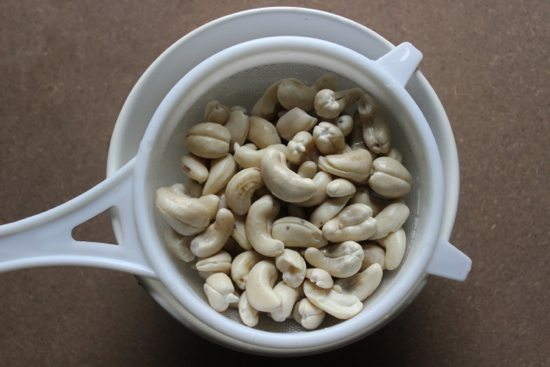 Soak your cashews in about four cups of water for at least 3-4 hours. After a few hours, dispose of the water the cashews were soaking in. Toss the cashews into a blender and blend them up with another three cups of water. 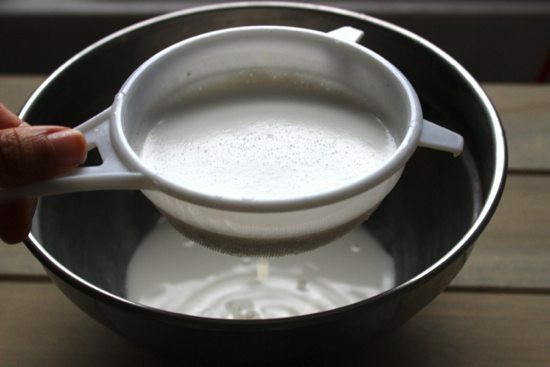 Position a bowl under a cheesecloth or mesh strainer to catch the milk and pour the milk into the strainer. If you’re looking to sweeten up your milk, throw in a bit of vanilla extract for extra flavor that will go perfectly with that bowl of crunchy granola. You can make this ahead of time and store in the refrigerator for up to 7 days. 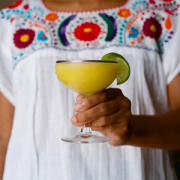 Enjoy throughout the week in many different recipes. 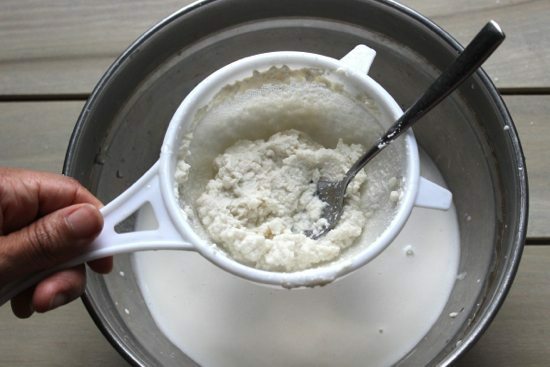 How do you like the sound of making your own cashew milk? Did you even know you didn’t have to buy it from the store? Let us know what you think in the comments below! What type of container do you use to store your milk in the fridge? I use an airtight glass jar. Any suggestions for what to do with the leftover cashew pulp? 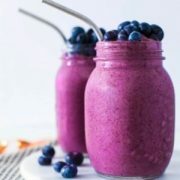 you can add it for more fiber to smoothies! I love love love making cashew milk! I add in a pitted medjool date or two (depending on batch size) and vanilla in mine to naturally sweeten it up a bit. Adding it to coffee in the morning is delish!